As well as informing patients when the medical staff are ready to see them, the screens at Blackfield Health Centre, Blackfield, and Waterside Health Centre, Hythe, also display a rolling programme of useful information and advice. Dawn Poole, Operations Manager for Blackfield Health Centre and Waterside Health Centre, said: “The information screens are an important resource for us. As well as letting patients know that the doctor or nurse is ready to see them, they are a great way for the practice to get across some important messages to patients about how they can help themselves to stay healthy and also give information about local health services which are available for the patients to use. 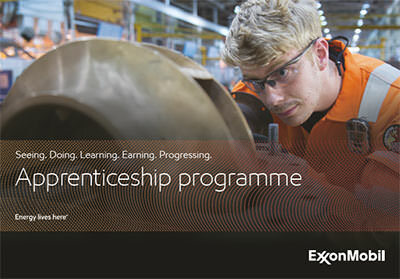 Angharad Vaughan, Community Affairs Adviser at ExxonMobil Fawley, said: “One of our key priorities as a site is to be a good neighbour and support the local community where we can. 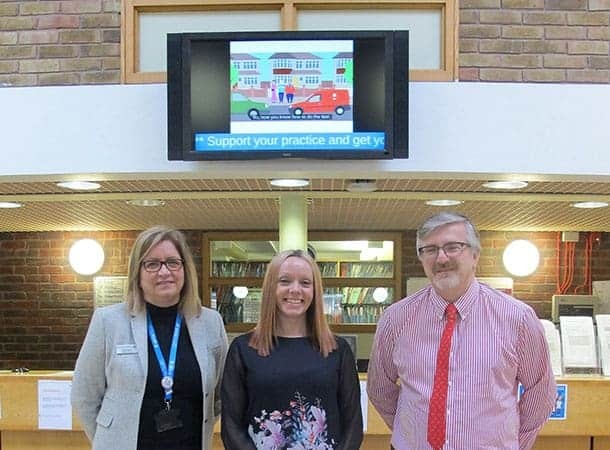 Pictured from left: Dawn Poole, Blackfield Health Centre and Waterside Health Centre Operations Manager, Angharad Vaughan, Community Affairs Adviser at ExxonMobil Fawley, and Phil Sayers, Practice Business Manager.